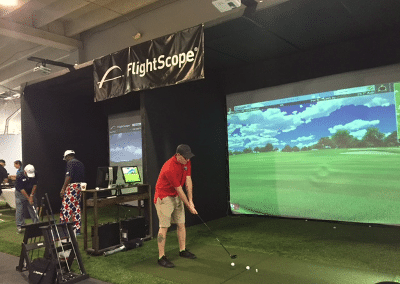 This past weekend, FlightScope attended the grand opening of the 6,700 square foot Fairways for Warriors Training and Life Center (TLC) in Kissimmee, FL. Equipped with two FlightScope X2 launch monitors and a chipping and putting area, Fairways for Warriors TLC is designed to help wounded veterans heal in a supportive environment. The Fairways for Warriors TLC is the first indoor golf facility exclusively catering to combat-wounded veterans and their families in the U.S. Through the TLC, golf instruction, and family support, Fairways for Warriors aids veterans transition towards rehabilitation. Having a handful of veterans on our team, FlightScope is thrilled to lend a helping hand to such a charitable cause.